I was recently given the opportunity to read Gravity Is The Thing, and I have to admit that the first 25 or so pages didn't really grab me. Looking back, I think the reason is that it was just so different to anything I have read in a while, but I am SO glad that I persevered, as I absolutely loved this book! Yes, it is different and unique, and that is what makes the story so captivating. I read this within a matter of days as I couldn't stop thinking about it every time I put it down. Abigail Sorensen is 35 years-old, divorced, and a single mum to her son, Oscar. A former lawyer, she now owns and manages The Happiness Cafe in Sydney. In 1990, Abigail's brother Robert went missing. The two were close in age, and close siblings; they shared everything and supported each other. His disappearance came as a big shock to Abigail and her parents. She has never stopped looking for him, and the impact of his absence has affected all areas of her life. About the time of Robert's disappearance, Abigail started to receive random chapters from a self-help book called The Guidebook. She wonders whether her brother's disappearance and the guide are connected in any way. So when she receives an invitation for an all-expenses-paid trip to a retreat to learn about the truth behind The Guidebook, Abigail decides to accept. When she gets there, she meets some other people who have also accepted the invitation, and it turns out to be an intriguing weekend. Upon returning home, she is invited to weekly seminars to further discuss The Guidebook. It quickly becomes much more than that, as Abigail starts to connect with the others in the group, making friends and discovering herself. The story is told in parts, and it reverts back in time on occasion, so the reader gains a deeper understanding of Abigail, and a look into the world around the time of Robert's disappearance, and also around her relationship with her ex-husband. All these intricate little pieces that may seem insignificant at the time all come together, and it just works. Beautifully. I have to say that this book made me cry; I was sobbing so much in one part that I needed to stop as I couldn't even read the words on the page! So if you're prone to tearing up whilst reading a good book, then have the tissues handy! This story touched me on a personal level, and I think that is why I enjoyed this book so much. I would highly recommend Gravity Is The Thing. This is a very sweet tale set in the 1960's in Melbourne. Author Anna Ciddor draws on her own childhood experiences to give it an authentic feel that will entertain readers both young and old. The story spans across a year in the life of Anna Lewison and her two younger sisters, Mirabelle and Bubby and their parents, who are of Jewish heritage. Anna develops a love of antique dolls after reading a book about Hitty, an old wooden doll. Her mother takes her to an auction at an antique store one Monday to see if she can find any dolls, but sadly, Anna doesn't find any. She begs her mum to take her back, and as the weeks go by, her love for dolls grows. 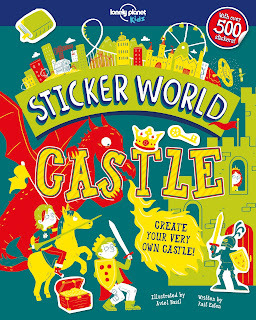 It was lovely to read about a childhood with an abundance of imagination and creativity, without the use of technology. This is a really delightful and easy to read tale, and I really enjoyed it. Recommended for readers aged 8-13 but I am sure adults and teens will enjoy this too. Jules and Holly are best friends and have known each other since university. Together, they have shared the highs and lows of their lives. Holly is the only one who knows that Jules once had an affair behind her husband Rowan's back, and Jules was there to support Holly when her husband Archie died suddenly from a heart attack four years ago. Holly even shifted house to be closer to her best friend. The ladies have a very special bond, and have always been there for one another. Holly is mum to a 16 year-old son, Saul, who has grown up alongside Jules' daughter Saffie, aged 13. One night, the ladies go out for birthday drinks, and the two teens are left together at home. Then, a couple of weeks later, Saffie accuses Saul of an unforgivable act on the night that they were left home alone, and it comes as a huge shock to all involved. Holly refuses to accept that her son could ever commit such a terrible crime, and although Jules doesn't want to believe it, she takes Saffie's word. The repercussions of this claim damages not only their friendship, but their families. I thought that this was a well-written story, and I didn't know who to believe - the suspense of that had me turning the pages. There were a few parts of the story that I felt didn't add all that much and perhaps could've been left out, and I would've liked a bit more of a background story, particularly about Jules and Holly's friendship (I think it would've benefited to revert back to their relationship in an earlier time, but that's only my opinion). I was torn on taking sides between each of the characters, and I finished it within a few days as I was curious to see how it all played out. I Thought I Knew You is available this month, and has an RRP of $29.99, from Pan Macmillan Australia. Home Fires is Fiona's third novel (it follows Daughter Of Mine, released in 2017, and Birthright, released in 2018). I haven't read her other titles but am really keen to after reading Home Fires. The story is set in the Otway Ranges in Victoria, in a town called Myrtle, which was destroyed by a terrible bush fire. The surviving residents are trying to deal with the aftermath of the tragic day that ruined so many properties, businesses, and lives. In particular, three of Myrtle's female citizens - Claire, Bec, and Sophie, are finding it tough. When an older well-known local named Julie decides to run a craft class to bring back a bit of stability and to plan events that may attract business and tourists back into Myrtle, she invites the three women along. Although reluctant at first, the women come together, and along with a couple of other group members, their meetings soon become the highlight of their week; a place where they come to share the hurt of their past, the struggles of the present, and the hopes for their future. As the story unfolds, the reader learns more about each of these women and their families. Claire is a community nurse, who is in a relationship with Matt, and sadly lost her parents in the fire. Bec is a stay-home mum of two who supports her domineering husband Adam in his building company. And Sophie is forced to return to work after her husband Josh lost his job after the fire. They are all very believable, genuine characters and Fiona created a real sense of community spirit and the emotional support shared between them was convincing and heartfelt. She also touched on topics like depression, abuse and violence in a delicate and informed manner. At just under 500 pages, it is a long novel, but the advantage of that is the way the reader gains a real connection to the characters as they are described in depth. It also touched me on a personal level, as I have relatives that were involved in the Black Saturday bushfires in 2009, and have seen the tragic stories on the news, even in the past weeks with fires raging in parts of Victoria. 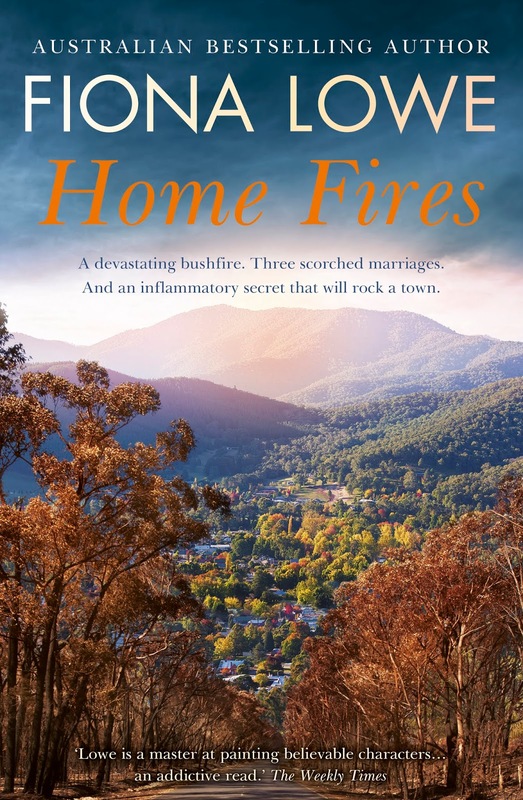 I thoroughly enjoyed Home Fires and would recommend it particularly for fans of Australian contemporary novels. 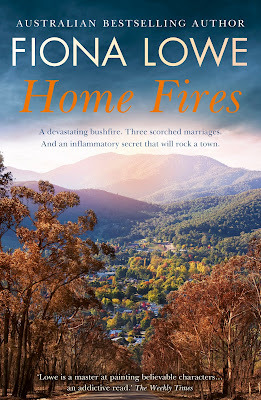 Home Fires is available now RRP $32.99 through Harlequin Books. 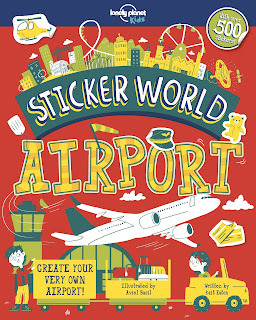 Lonely Planet Kids have recently released three new titles in the Sticker World series. These books allow children to create and customise a castle, a farm or an airport of their dreams, with over 500 stickers included in each book! 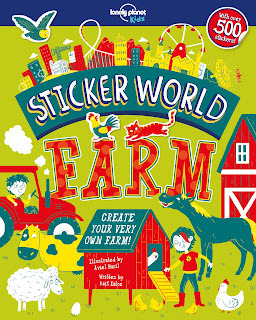 Each one has a lot of information included too, and plenty of pages that children can decorate, design, and draw on. 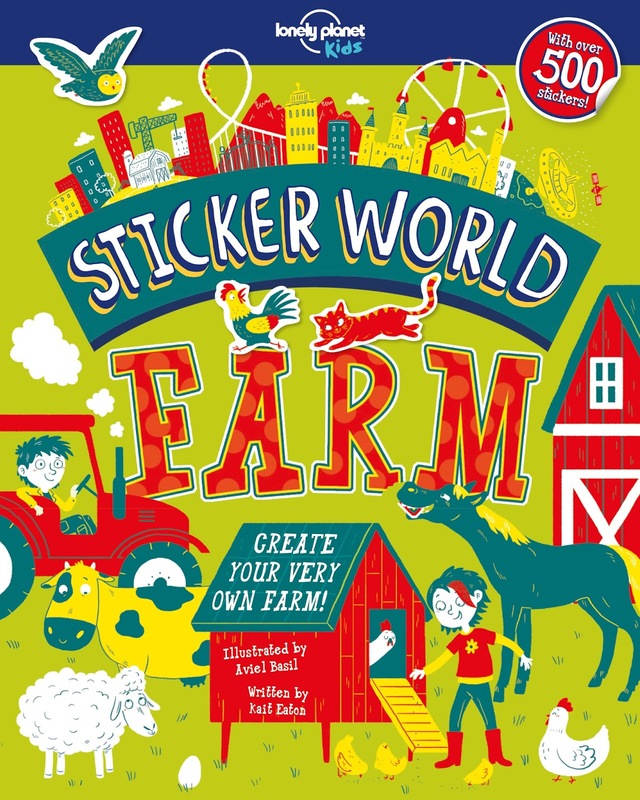 For example, the farm book includes information about crops, animals, milking and bee-keeping. The books are aimed at readers aged 6-8, and both of my younger daughters (aged almost 9, and 11 years old) enjoyed these books. Each book has 40 pages, plus 6 full sheets of stickers included, and I consider these books to be great value as they have a lot of entertaining activities included. Monica Tan is a former reporter for The Guardian, and in 2016, at age 32, she decided to leave her job and travel solo around Australia. The 30,000 km journey took Monica 6 months, and Stranger Country documents her experience. The majority of her trip was spent in the central and northern parts of Australia, before making her way to the tropical north of Queensland, then finally heading home to her mum's place in a north-west Sydney suburb. Monica recorded her travels in a total of 18 journals, along with several hundred photographs. Stranger Country is broken up into seven parts; each for a region of Australia that Monica visits. Along the way, we are introduced to many landmarks and interesting locals who, for the most part, seem to be helpful, kind and accommodating to Monica. We get to know more about who she is as a person as the story goes on, and when I read that she picked up a male hitchhiker in the middle of nowhere, I thought that she was really brave - it's not something I'd ever consider doing! I also admired her determination in completing a 72-kilometre hike over the course of nine days, and for camping out in remote locations, often in freezing temperatures at night (the trip began in June - wintertime in Australia). Unbelievably, she had no SAT phone, toolkit, car snorkel, air compressor or even a proper spare tyre! Some would say she was asking for trouble being so unprepared, but her happy-go-lucky attitude, teamed with common sense, definitely helped her along the way. Her love of the land is evident, and she shares a lot of information about Aboriginal culture and history throughout her story. She also talks about her own culture, being born to Chinese Malaysian parents, and uncovers her sense of belonging in Australia. This story has a lot of factual information, and a lot of heart, and I would recommend it, especially for those with an interest in Australian history and travel. And on a final note, I must mention the book cover - the stunning hues of red earth and watermelon sky are so captivating! 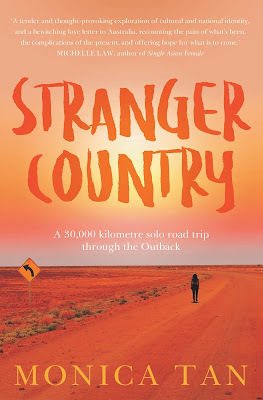 Stranger Country by Monica Tan (Allen & Unwin $32.99) available now. Quitting Plastic is a fantastic guide that has many tips for reducing your plastic footprint. I read it recently and I learnt so much from it. The book has really made me think about the way my family and I live, and how we can implement changes to reduce the amount of plastic we use in our household. (I'll elaborate more on that later). Single use plastics (straws, water bottles, coffee cups and plastic bags, etc) are things that we should all be avoiding wherever possible. I was shocked to learn a staggering 5 billion plastic bags were distributed in Australia prior to the bans that were implemented in most of the states in 2018. And wait for it - worldwide, that figure is estimated at ONE TRILLION!!! Can you believe it?! There are many more facts like these included in the guide, and the book is set out in easy-to-follow chapters. It covers topics including tips and advice for the kitchen, laundry, bathroom, toys, clothes, and entertaining. It also explains the differences between types of plastics, and which ones to avoid if you plan on cutting back. Were you aware that plastic production has increased 20 fold in the last 50 years, and that it is set to double again over the next 20 years?! Or that 50-80% of debris found along shorelines is plastic?! I personally didn't realise that the figures were that high. 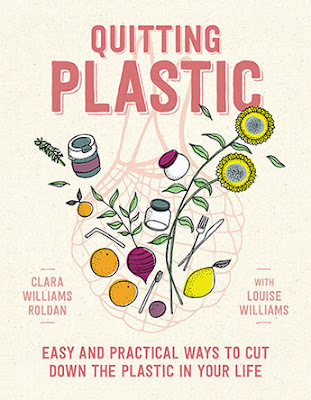 This book really opened up my eyes, and after reading it, I have since made some changes and had a chat about it with my husband and kids so we all, as a family, can reduce plastic use. 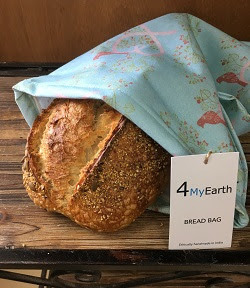 - using a reusable bread bag so when I purchase bread and/or rolls from my local bakery, the items can be placed in the bread bag instead of plastic bags. I also plan on purchasing shampoo/conditioner bars in future (once my stash of bottled hair products has been used), changing our cat's kitty litter to a biodegradable one, and looking for products without plastic packaging when shopping. 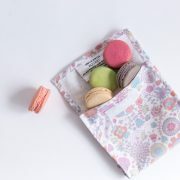 There are a great range of reusable products available online and in stores around Australia. 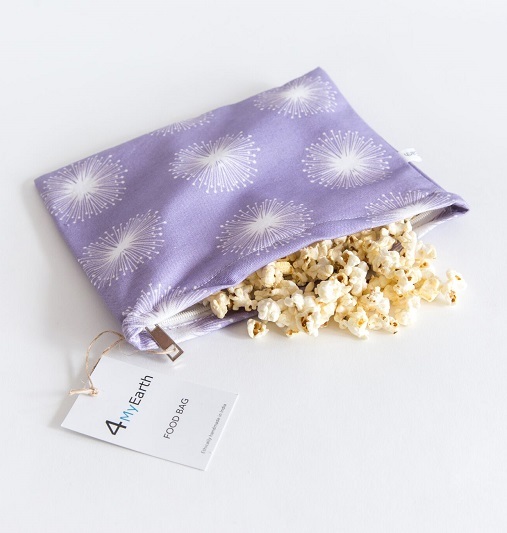 4myearth is an Australian owned and operated company that sell a fantastic range of reusable products, including: bread bags, sandwich wraps, snack pockets, food cover wraps (I have been using these for years and they are great! 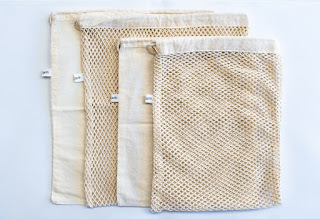 ), lunchboxes and net bags. Check out https://www.4myearth.com.au/products/ for the full range. 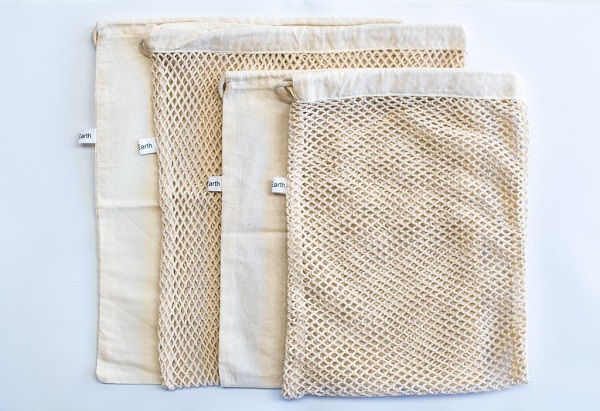 I was fortunate enough to be sent some of their products, and I am delighted that by using these products in place of plastic alternatives, I will be reducing my environmental footprint. Whilst it is a bit of a work in progress, it is quite simple to make small changes like I have. I think that it is very important for each of us to begin thinking about ways in which we can lead a more environmentally friendly lifestyle. How do you minimise plastic usage in your home/work environment? I'd love to hear your tips below! Special thanks to Julia from https://www.4myearth.com.au/products/ for providing images and products for me to use.